SweetStamps BLOG: Siam, Thank you ma'am! 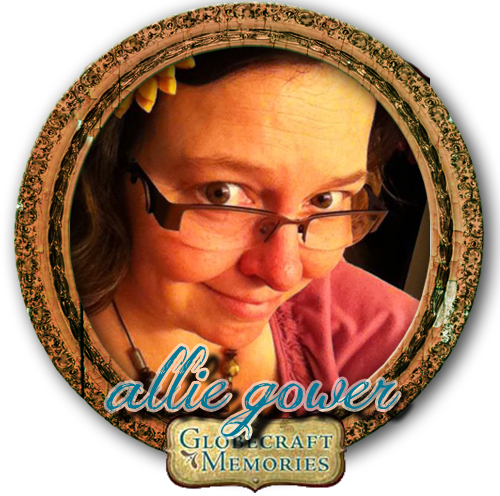 Hello, Allie here back with more Globecraft magic! At first glance, you might think these keys and butterflies are metal. Not so! With a little bit of magic using Piccolo Enamel Powder in Siam Silver, these beauties are turned into metallic looking art. I was first intimidated by these powders. I quickly learned they are very easy to use. To start this project, I removed the keys using tweezers. Next, I dabbed the keys and butterflies with enamel powder adhesive. I then sprinkled Siam Silver enamel powder on the pieces. I shook off the excess powder and embossed using my heat tool. Another option is to bake at 350-400 degrees for 60-70 seconds. You can tell when the whole piece is coated by the color change. I repeated this process twice for both sides of each piece. After embossing, I coat side one with Glasstique. Once that side dries, I coat the other side. While waiting for these pieces to dry, I cut my chain, chose my findings, and placed my beads on the bracelet. Once everything is dry, it’s time to add the jump rings and attach to the bracelet. The final fun step – wear the bracelet!! Want to create with these products yourself? We've got an awesome coupon code to share with you!! Enter code JP25 at checkout on our website globecraftmemories.com to receive 25% off your entire order, no minimum or maximum!! Hurry,this offer expires soon so order today! Now get out there, fire up your heat gun and create a little magic! Remember, these powders are easy to use. Thank you for stopping by and sharing more magic with me. Until next time, this is Allie, from Well Trained Paper. See you again soon! I so love butterflies! Love it! Very pretty, Allie! All the sparkle and bling - love it! Chipboard That Looks Like Metal?